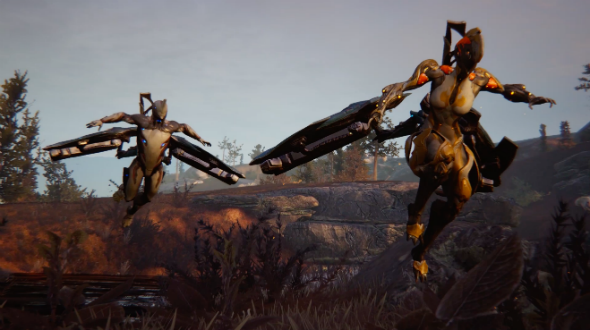 The news that Warframe is going open world gives tantalising new functionality to tools that were already in the game, like the Archwing flight system. Archwings were first added to Warframe back in October 2014 – the flight suits were released for a game mode that saw you dancing through laser fire in outer space. The suits will take on a whole new form in the new open-world sections, according to live ops and community producer Rebecca Ford. The flight suits will let you blast across the sky of the new open-world segments. This will help for simply getting about the place but I wouldn’t be surprised if we also saw the skies filled with enemies to tackle.